A thief in Florida, USA, wanted more than money – he also wanted some sweet treats with the money. 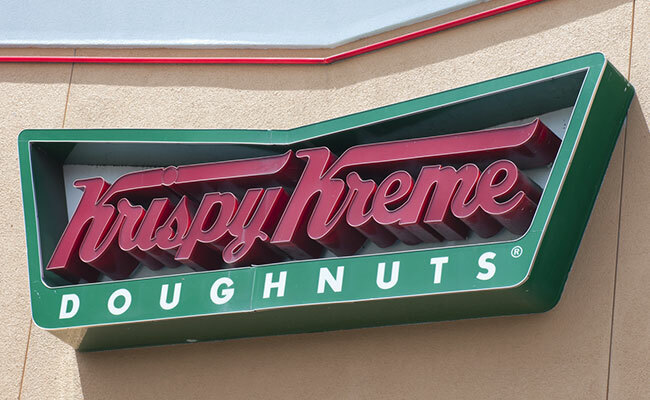 According to a Gainesville Police Department Facebook post, the 45-year-old man entered a Krispy Kreme store and demanded $ 10 and $ 20 bills from the cash register … and some donuts. The incident occurred on Friday morning at around 1.20. However, the robbery on the popular donut chain should not be successful. He then fled on foot from business and was soon found by police officers and arrested. Fortunately nobody was injured during the whole incident. The man later reported to the police that he had requested money and he wanted donuts from the "secret menu"
9659002] "I do not believe in rewarding stupidity or bad behavior, but I would have gotten him a donut before he put him in jail, it could have been worse, he could have gone to McDonalds," jokes a commentator. "This would-be robber is not guilty of bad decisions, I mean, he asked for donuts in addition to cash," says another. The man will now spend time in the county jail. In November, a thief who had broken into a house in Scotland was arrested after falling asleep eating a cake and a bag of Doritos.